Calling all class of 2014 superstars! 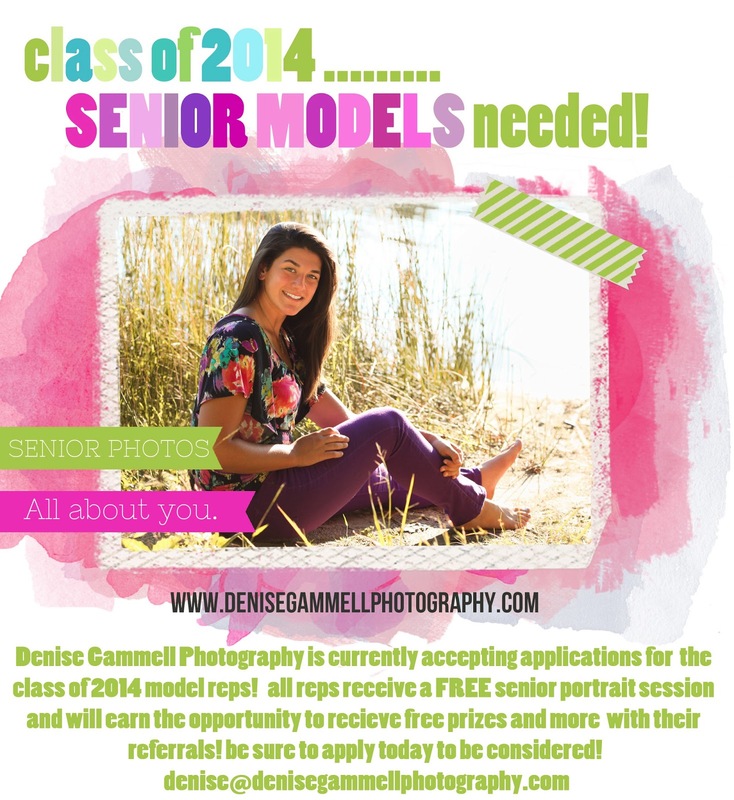 Denise Gammell Photography is still accepting Model Rep applications from students who go to school in Avon, Bristol, Burlington, Canton, Simsbury, Farmington, and West Hartford, Connecticut. Please email me if you are interested in more details and an application. You must have parent approval and be a fan of Denise Gammell Photography on facebook in order to be considered, so be sure to click "like" if you haven't already. I'm looking for fun students who LOVE being in front of a camera. You do not need to have any experience modeling or look like a model. If you are selected, your free Senior Portrait Session will be booked in June. Senior Sessions are such FUN and I'm so excited to work with model reps who are eager to spread the word about Senior Portrait Sessions with Denise Gammell Photography! Apply ASAP for the best chance! WHAT YOU GET: 1. Fashion consultation & stylized pinboard for your session to help you select the best looks for your shoot. 2. Free Senior Session 3. Watermarked pictures for social media 4. Model Rep Cards. 5. FAME!!! Blog post featuring YOU and your interests! 6. PRIZES! These are the adorable rep cards (kinda like your own little business card that comes in a fun tin). Your referral(s) MUST present one of your rep cards in order to be considered a true referral.